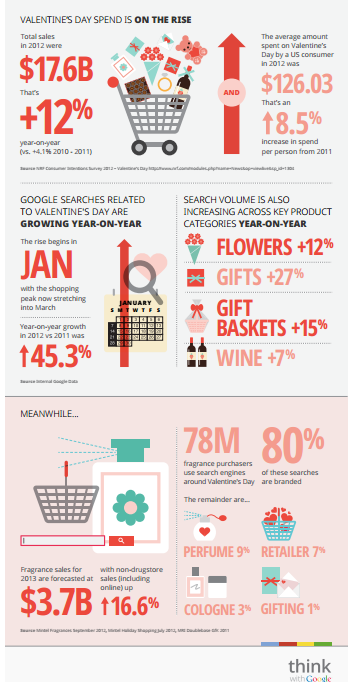 According to Google Analytics Blog, the Sunday before Valentine’s Day sees the biggest spike in week-over-week transactions with an average increase of 10 percent. The same holds true for conversion rates and sessions, with an average increase of 6 percent and 4 percent respectively. Besides a week-over-week increase, the transactions are 5 percent higher on that day than for the average Sunday in the quarter. The growth in transactions could indicate that consumers are using that Sunday to find and purchase their gifts, making it a good opportunity to invest in getting consumers to your site for some Valentine’s Day shopping. If you plan to invest in advertising for this holiday, one way to prepare for Valentine’s Day is to adjust your bids. 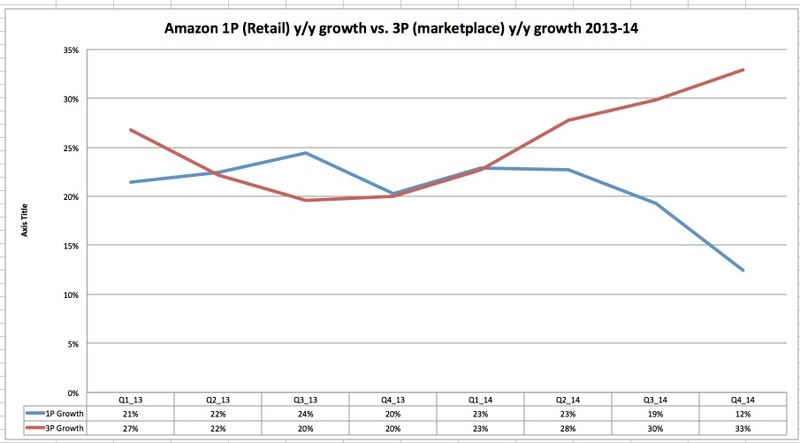 For Business looking at newer avenues to tap into, to grow the e-commerce revenues and online sales Amazon’s Third party – Marketplace may seem to be the right place with YOY growth rate of 33 percent. Posted in Consumer Engagement. Tagged Campaign, Consumer, Content, Digital. Twitter users are a highly engaged movie going audience with more than 60 percent of movie goers connecting online and on Twitter about the movie prior to viewing the movie. In a newly launched Tweet a Coke campaign -“Tweet a Coke” gives fans a chance to share a Coke via Twitter. Tweet A Coke is an engagement for Movie goers and Twitter fans while Share a Coke campaign is targeted at Teens and Millennials which has generated views and social media shares. Posted in Consumer, Digital, Social Media, Social Media Campaigns, SoLoMo. Tagged advertising, Campaign, Consumer, Twitter.